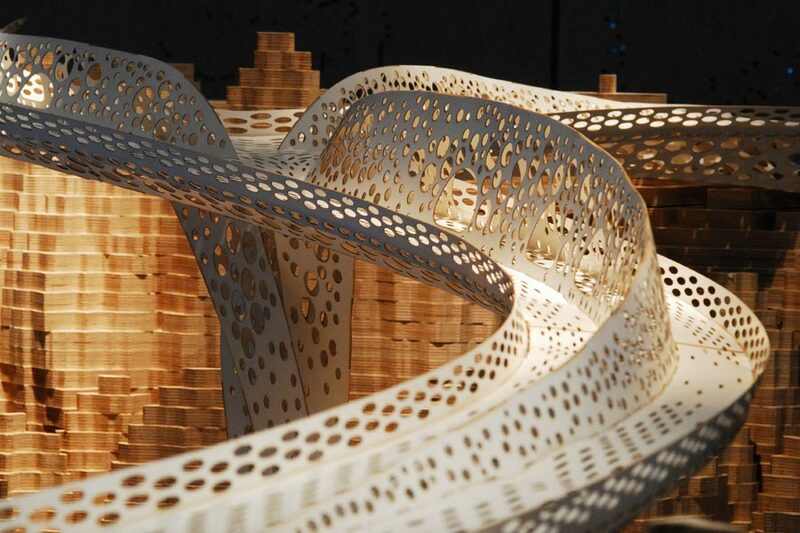 The design studio leaders, Mike Tonkin and Anna Liu have spent a number of years testing and exploring the possibilities of a structural technique they have coined ‘Shell Lace’. 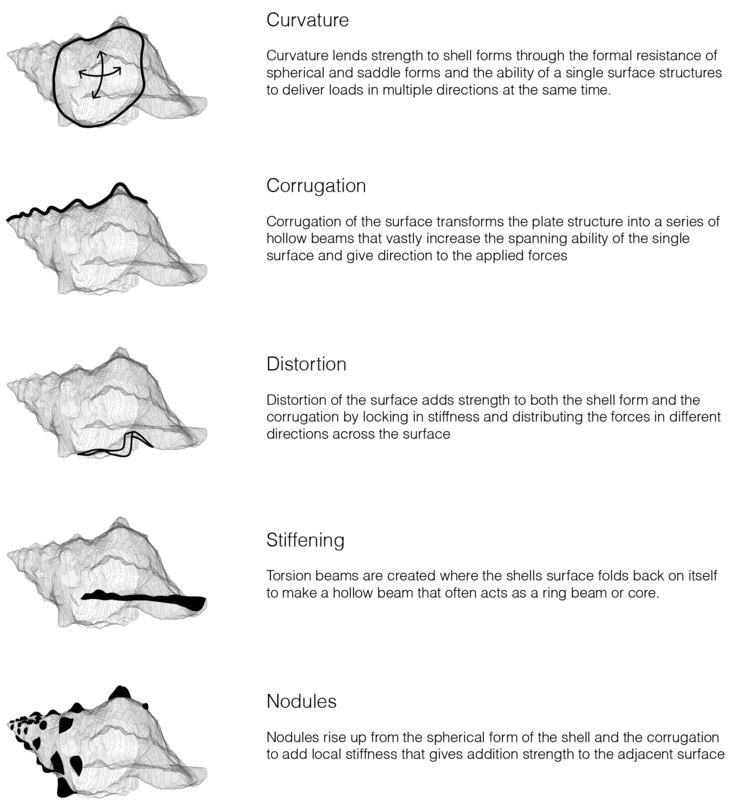 Deconstructing the underlying principles of shells and their gained strength from an optimisation of curvilinear geometry, Shell Lace Structure proposes five main processes for construction; curvature, corrugation, distortion, stiffening and perforations. 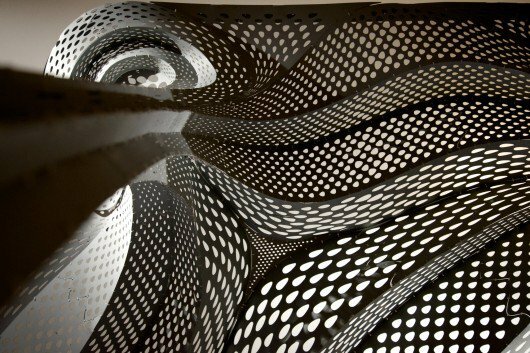 The results of these techniques sees flat sheet geometry turned into three dimensional, lightweight yet structural forms. It is their ambition that we use similar rigour to our investigations, focussing on the main key principles of our systematic development. A concious effort into the production of single surface structures should also be evident to achieve lightweight, elegant and cost effective solutions.